Categorized as a wagon or small hatchback, the Kia Soul seats five passengers with plenty of leg, hip, and headroom for back and front seat passengers. By definition it’s not a utility vehicle, but it does have the capability to provide a maximum cargo capacity of 61.3 cu.ft. with the rear seats folded down. For 2016, the “Best Hatchback for Families” has two engine options; a 130-horsepower 1.6-liter all-aluminum DOHC four-cylinder engine and a more powerful 2.0-liter NU power plant with GDI technology. The 2016 Kia Soul Base models will be fitted with the 1.6-liter engine, while the Exclaim and Plus models are strapped to the more powerful 2.0-liter. The 1.6-liter engine is mated to a six-speed manual transmission or, optionally, to a six-speed automatic. The Plus and Exclaim models are available exclusively with the six-speed automatic. While the 2016 Kia Soul will continue with its three trim levels, there are two new options packages that are now available. Alloy wheels are standard across all models, including the Base one. The two new packages are the: Designer Collection which primarily upgrades exterior physical features with details like a two-tone exterior paint treatment, 18-inch black-spoke alloy wheels, and a leather-wrapped steering wheel to match the gear shift knob. The second new package is the interior Umber Color package which will now include HID headlights. Across all of the models, the Soul will be sporting alloy wheels and those considering the base model will now have the option to select the Convenience package which then includes a 4.3-in color touchscreen, Sirius XM satellite radio, and a rearview camera. One of the new packaging options that will be offered for this year is the Designer Collection which improves styling details. Some of the changes that are made throughout include: two-tone exterior paint (a white body with red roof or red body with a black roof) as well as 18-inch black-spoke alloy wheels, and leather-wrapped steering wheel to make the gear shift knob. Taking a look at the Soul ! trim in particular, there is a Premium package that is offered. It’s a great price jump because it includes such advanced technology that is brand new to the Soul; forward-collision warning and lane-departure warning have never been offered before. Inside, drivers will find all the features they need to kick their rides up a notch and have a good time on the road. Luxurious soft-touch materials throughout the cabin and tailored headrests ensure you cruise in style, while available heated and ventilated front seats guarantee comfort. Optional speaker lights enhance the funky atmosphere within the vehicle, as lights work in tune with your music to change color and intensity accordingly, making after-dark trips a blast. During the day you’ll love the optional panoramic sunroof, which lets the sun shine in for all passengers to see. Further enhance the fun atmosphere in your Kia Soul by adding the 4.3-inch touchscreen audio display system with Pandora and a rear-camera display. You can even go bigger with the 8-inch infotainment system, featuring voice-command navigation, UVO eServices and HD Radio. Throw in the available Infinity Audio System with Center Speaker, Subwoofer and External Amplifier and you’ll have a party wherever you’re heading. For the 2016 Kia Soul, the new features that are part of the Premium package include an upgraded Infinity audio system, navigation, panoramic sunroof, 10-way power-adjustable driver’s seat, seat heaters, and more.. The first of the new packages for the 2016 Kia Soul is a Designer Collection package which is available with the Plus trim. Drivers will get their choice between a white Soul with a red roof or a red Soul with a black roof with this package. In addition to new standard features in the Plus trim, like the gloss black bumper and a rear camera display, the Designer Collection package gives drivers features like 18-inch alloy wheels, a leather wrapped steering wheel, and a leather gearshift knob. Like many Kia models, the 2016 Kia Soul is focused on keeping all occupants safe. This compact car offers a number of standard safety features that will give you peace of mind. It even offers an optional Lane Departure Warning System and Forward Collision Warning System. With these technologies, you will definitely stay safe while out on the road. The 2016 Kia Soul is the car for the everyday driver who needs to show their personality and keep their cargo space. 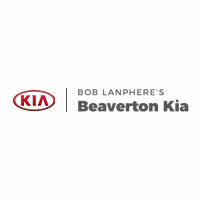 Stop in at Beaverton Kia, in Beaverton Oregon to test drive today.